Such a lovely, light and fresh salad which takes so little time to put together, and above all, very healthy! You can serve this as a side salad or else as a main, perfectly chilled to take to the beach or on a picnic. The ingredients below are for four as a side salad. In the meantime, prepare the Edamame by following the instructions on the package. I microwaved mine for 1-2 minutes. When the quinoa is cooked, drain it through a fine mesh strainer and place in a serving bowl. 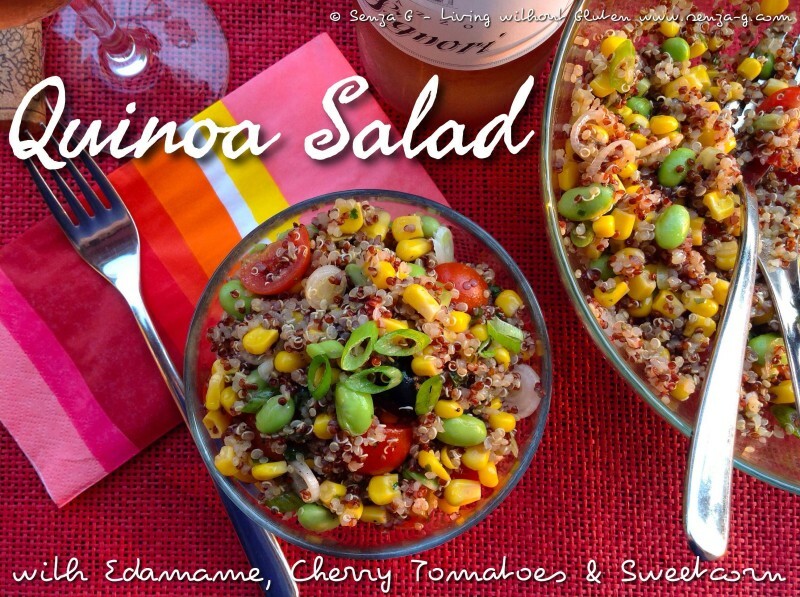 When cool, add the drained canned corn, the quartered cherry tomatoes, the sliced onion, the Edamame and the black olives. Set aside.